The Orient Line began a close association with the Peninsular & Oriental Steam Navigation Company at the turn of the 20th century, with the two companies sharing an Australian Government mail contract. In 1964 the Orient Line colour scheme of corn-cream coloured hulls was dropped in favour of P&O's white livery, and Orcades and Oronsay transferred to the P&O fleet. 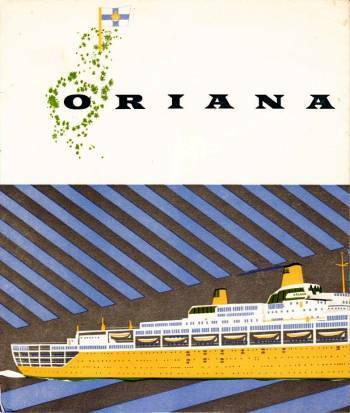 The name Orient Line was dropped altogether in 1966, when Orsova and Oriana were also transferred to the P&O fleet. Symbolically, the last, largest and fastest ship of the Orient Line, the Oriana, wore the Orient Line flag for her final voyage prior to retirement in March 1986. The Orient Line's beginnings can be traced back to the formation of a shipbroking company by James Thomson in 1797. The company was operating a small fleet of sailing ships by the early 19th century, and by the middle of the century they were sailing on routes all over the world. James Anderson joined James Thompson & Co. in 1828, and his nephew, James George Anderson, joined the firm in 1854. By 1863 it had been restyled Anderson, Thompson & Co. With the death of the last member of the Thompson family in 1869, it changed its name to Anderson, Anderson & Co. 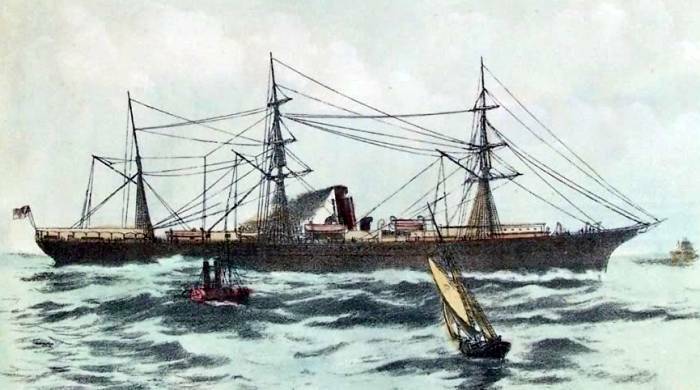 The inauguration of a liner service to Australia with the ss Orient, in 1866, saw the company trading as The Orient Line of Packets, later shortened to The Orient Line. In 1877, Anderson, Anderson & Co. approached the Pacific Steam Navigation Company with a proposal to put some of its excess tonnage, laid up after being built for an overly ambitious weekly service to the west coast of South America, onto the Australian run. 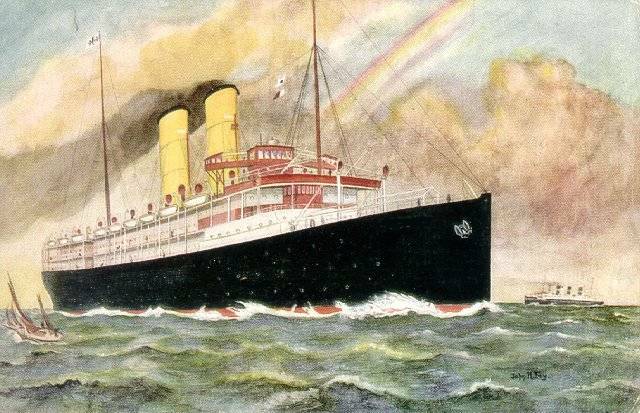 The first sailings of the Pacific Steam Navigation Company steamers Lusitania, Chimborazo and Cuzco under the Orient Line banner proved so successful that Anderson, Anderson & Co. approached the Green family, shipowners and shipbuilders of Blackwall Yard London, with a proposal to purchase them. Anderson, Anderson & Co. and Greens then jointly founded the Orient Steam Navigation Company. A close association with the Peninsular & Oriental Steam Navigation Company began at the turn of the 20th century with the two companies sharing an Australian Government mail contract. 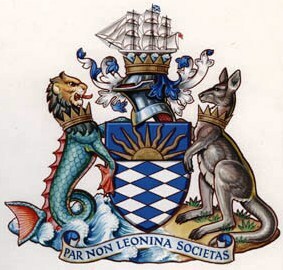 Each company had a vessel sailing from England to Australia every two weeks, resulting in a weekly service of fast mail ships. This was at a time of rapid expansion for the Orient Line, with a succession of larger ships being built. 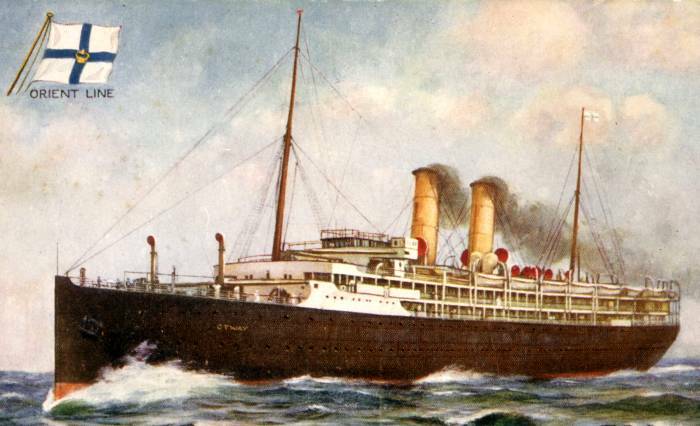 All had names starting with 'O', such as Otway, Osterley, Orsova, Otranto and Orvieto – a quintet of 12,000-ton ships – entering service in 1909.
ss Otway, built by the Fairfield Shipbuilding and Engineering Company of Glasgow, Scotland, launched 1909. The First World War saw all of the company's ships commandeered for war service, with several losses, including Otway and Otranto. Those that survived returned to the England – Australia service in 1919. For many years, Sir Kenneth Anderson and Sir Frederick Green (1845–1927) alternated annually as Orient Line chairman, until Greens sold out their interests to Lord Inchcape when P&O acquired a controlling interest in the Orient Line in 1919. 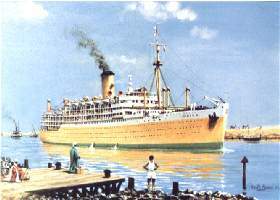 A new firm, Anderson, Green & Co. Ltd., then managed the Orient Line on its new owner’s behalf until the subsidiary was formally absorbed into P&O, its senior partner, in 1960. The Orient Line fleet was upgraded following the Armistice with the purchase of second-hand former German vessels from the British Government - made available through war reparations. They included the USS Zeppelin which Orient bought in 1920, had refitted and renamed Ormuz, and ran between Great Britain and Australia from 1921 until 1927. The ss Ormuz, formerly the German ss Zeppelin. The USS Zeppelin was built by Bremer Vulkan, Bremen-Vegesack, Germany, for Norddeutscher Lloyd, and launched in 1914 as the SS Zeppelin. 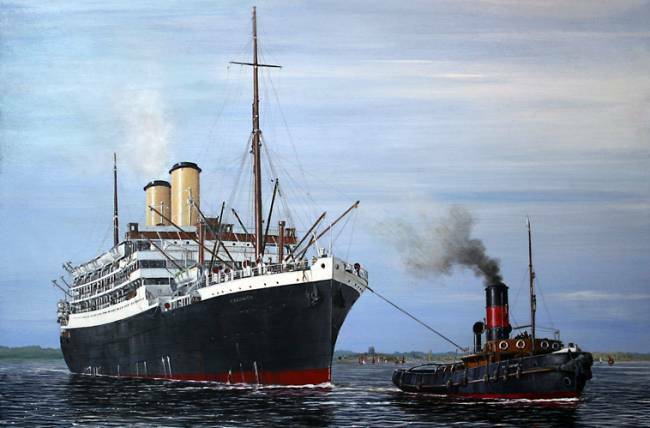 Due to the outbreak of the First World War, she never entered Norddeutscher Lloyd service, and was laid up at Bremen. 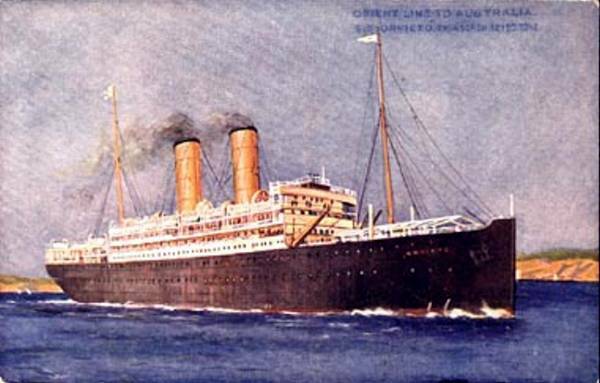 After the war she was operated first by White Star Line, on behalf of the UK Government's Shipping Controller, then briefly as the troop ship USS Zeppelin, before joining the Orient Line on 28th March 1921, as the SS Ormuz, ending her days with Norddeutscher Lloyd, as the SS Dresden. The Orient Line acquired more new ships during the second half of the 1920s, most of them built at the Vickers Armstrong shipyard in Barrow-in-Furness. 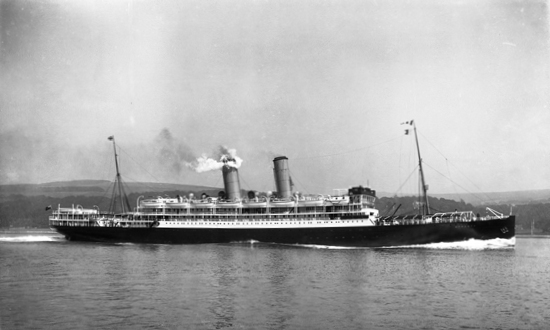 ss Orama, 1924, the first ship to be built for the Orient Line after the Great War. ss Otranto, 1926, third of the post-war ships. The company managed to trade through the depression and returned to profitability and new ship building in the mid-1930s. 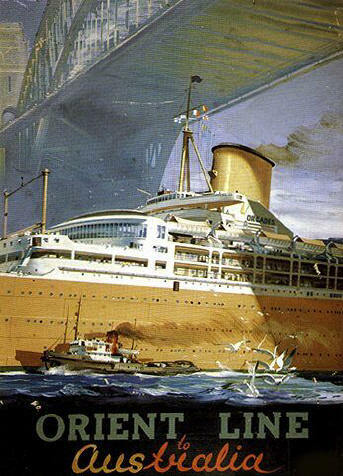 The company engaged a New Zealand-born marine architect, Brian O'Rorke, to design RMS Orion (1934) and Orcades (1937), which became the focus of great interest from the British design fraternity. The Second World War again saw the requisitioning of Orient Line ships, with all eight seeing service. Unfortunately four were lost, with the other four returning to the England-Australia mail service in 1947. It took a number of years for the company's fleet to be returned to full strength due to the slow industrial recovery after the war. 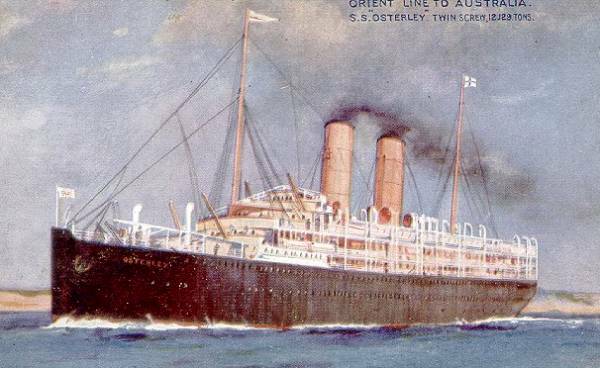 The three new Orient Line ships were designed to match P&O's Himalaya, Arcadia and Iberia in speed and size, reducing the sailing time from England to Australia to just 28 days, while operating a coordinated service from Tilbury. 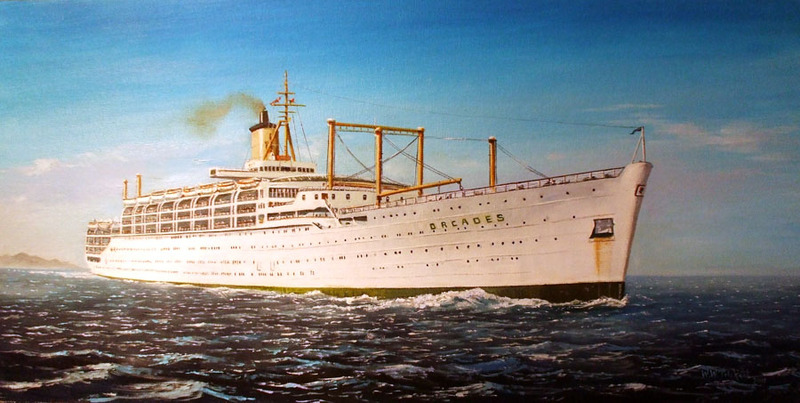 Ships were increasingly switched to cruising for part of the year, and the Oronsay began a trans-Pacific service in 1954. 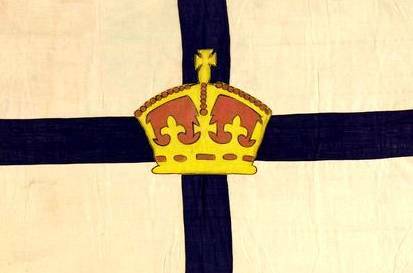 The 41,900 tonne Oriana was the last ship ordered for the Orient Line, and the last to fly the Orient Line house flag. 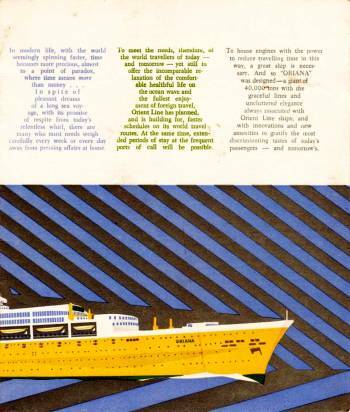 P&O and Orient Line were formally merged in 1960 to form P&O-Orient Lines. 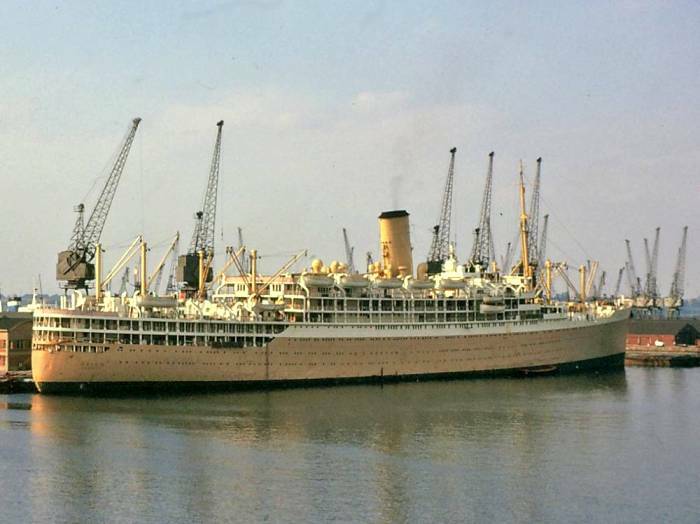 In 1964 the Orient Line colour scheme of corn-cream coloured hulls was discontinued in favour of P&O's white livery, and Orcades and Oronsay transferred to the P&O fleet. 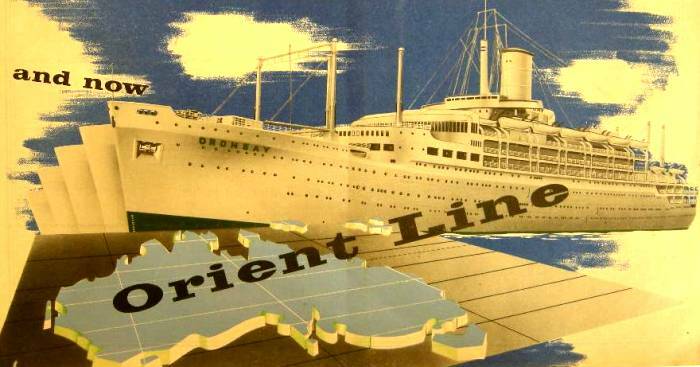 The name Orient Line was dropped altogether in 1966 when Orsova and Oriana were also transferred to the P&O fleet. Symbolically, the last, largest and fastest ship of the Orient Line, the Oriana, wore the Orient Line house flag for her final voyage prior to retirement in March 1986. P&O's Canberra and the Orient Line's Oriana were the largest and fastest passenger ships on the England – Australia route, reducing the voyage time from 28 days to just 21 days with their service speed of 27.5 knots. 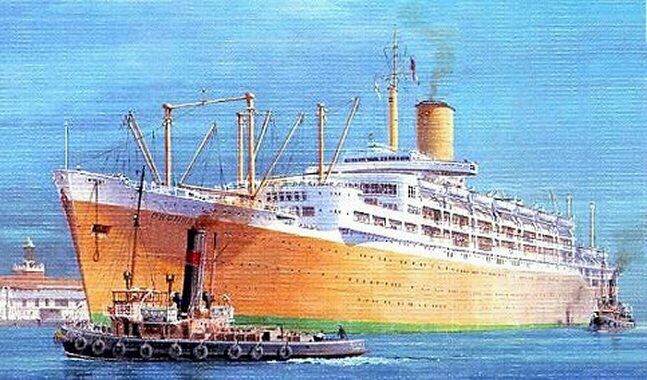 Oriana was the faster of the two and after the final takeover of Orient Line in 1966, she took the P&O Golden Cockerel as the fastest ship in the fleet. With the advent of long-haul air travel, her career as a passenger liner was short-lived, and she was switched to full-time cruising from 1974. My primary source for all the above was Grace's Guide- British Industrial History.